Katie Salidas: #Free Book Deal - Evershade by Alexia Purdy! A dark twist on #faeries. 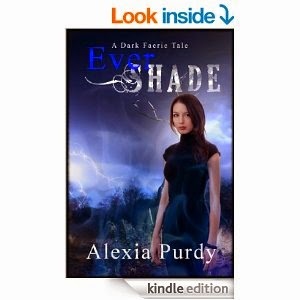 #Free Book Deal - Evershade by Alexia Purdy! A dark twist on #faeries. A dark twist on faeries. For Shade, a chance meeting with a powerful Teleen Faery warrior who wields electrical currents and blue fires along his skin, has her joining him on a treacherous mission for the good Seelie Faerie Court across the land of Faerie. Magic and malice abound and nothing is what it really seems to be. The evil Unseelie Queen and her treacherous allies are around every corner as Shade makes her way across the breathtaking landscapes of the world of Faerie, which exists alongside the mundane human world. Shade discovers her own uncharted magic and meets some of the most powerful warriors in Faerie while battling evil dryads, conniving Teleen guards and challenges on her life with every step in a world where nothing can be taken for granted.